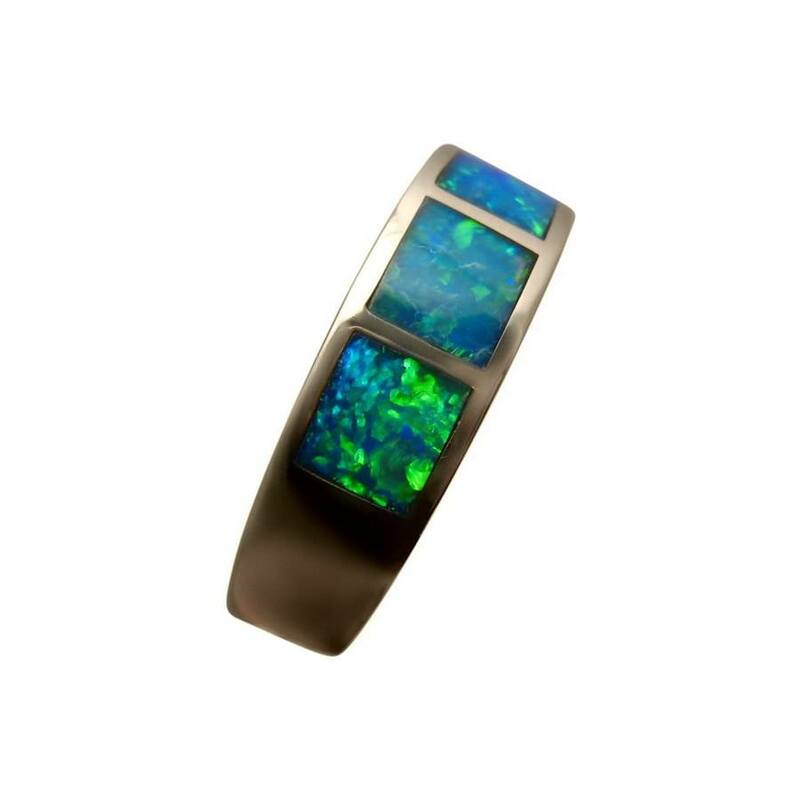 A mens inlay Opal ring in 14k White Gold with three bright Green Opals. In stock and ready to ship. 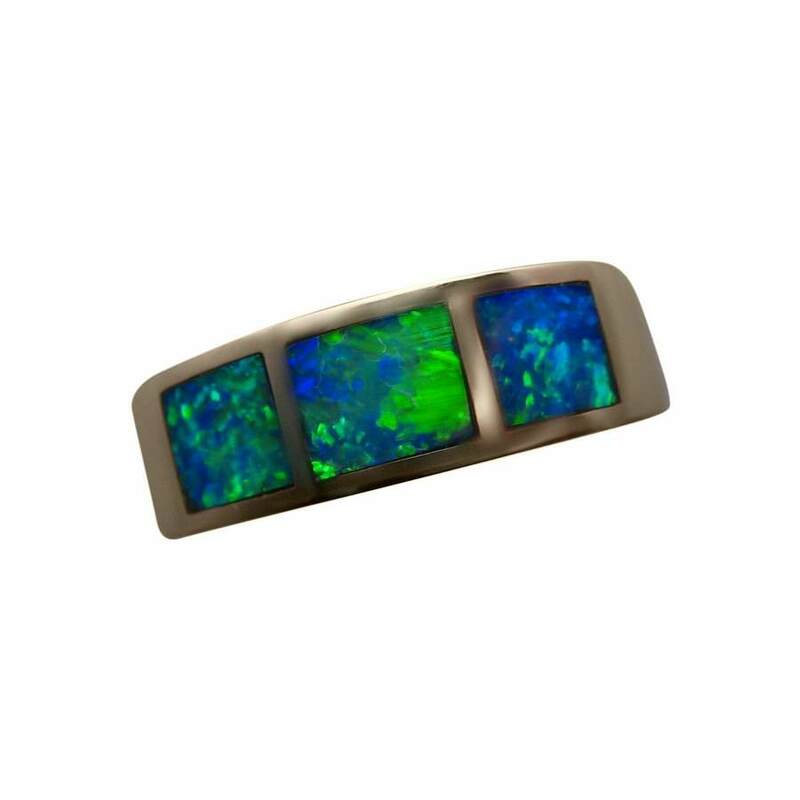 This Opal ring is a 14k White Gold band measuring 6.7 mm across and could be worn by men or women. 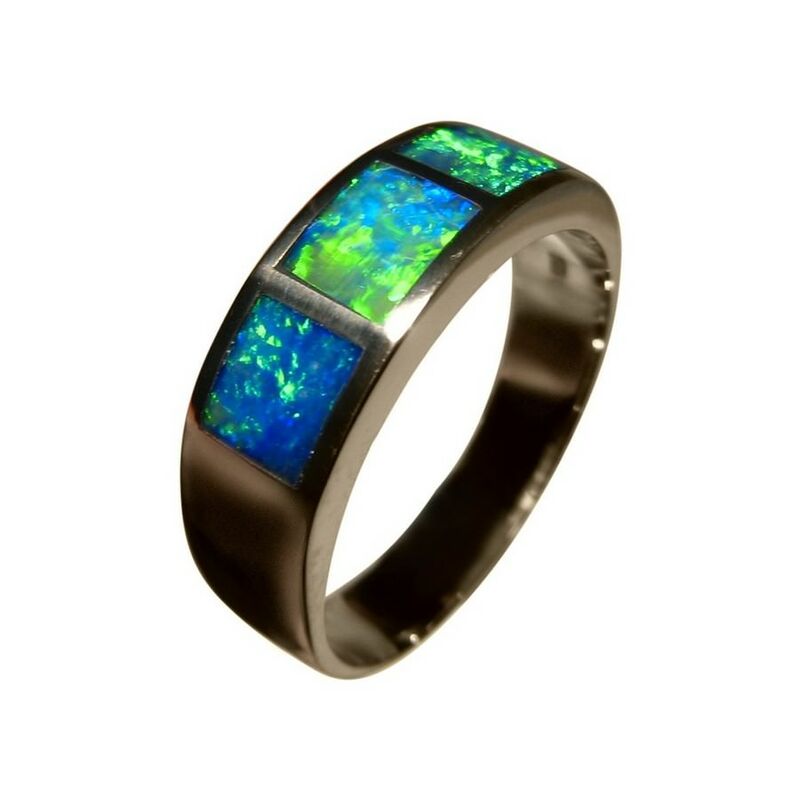 The ring weighs 7 grams and is inlaid with three very bright mainly Green Opals measuring 7 x 5.2 mm that have a combined weight of 1.75 carats. 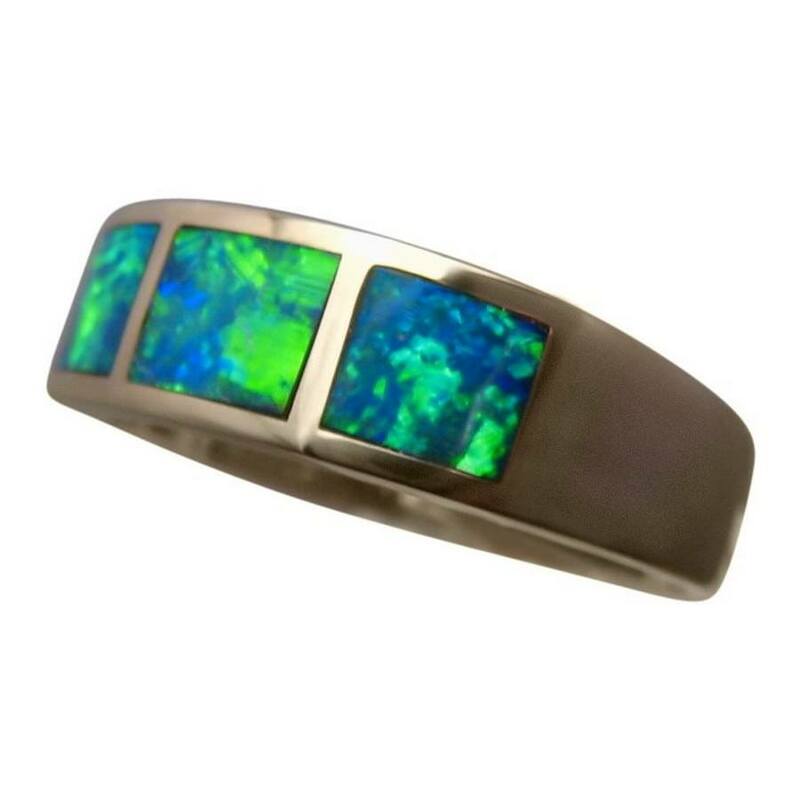 Watch the video below to see the play of color in the Opals and the high shine of Gold the photos do not show. The ring as pictured is ready to ship now or one can be Made to Order in any ring size or Gold color.